To our amazing worldwide bike building community. 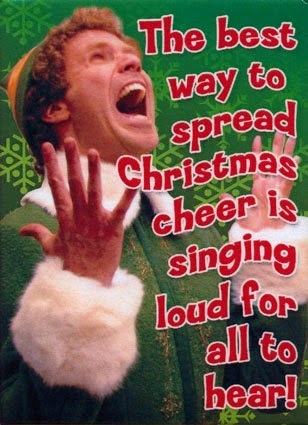 Wishing you and yours health, happiness and love. Please ride safely and be kind. This homemade recumbent is ready to be painted. Built in two months. "My wife and I ride bikes when the weather is nice. One day, I went to a bike shop and road tested a long wheel base recumbent bike. I really liked sitting back and enjoying the view. The bike was a lot of money, though. 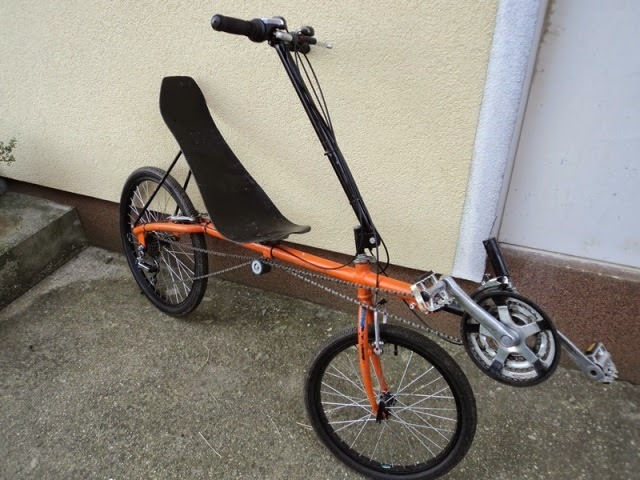 I have been looking on the Internet at recumbent bikes and discovered that some people were building their own. So, I started to get the bug to build one myself." Learn to lubricate and setup your cup and cone wheel bearings. Keep your DIY recumbent bike running like clockwork. This tutorial includes 45 high resolution photos and 9 high definition videos. Although most of your bicycle pedaling efforts will be thrown to the wind (literally), some of your energy will be eating up by friction from moving parts such as bearings, chain links, and even the compression of the tires on the road. Bearing friction does not account for much of your power loss as long as your bearings are in good working order and properly lubricated. This basic tutorial will show you how to remove, clean, reinstall, and then set the clearance on your bicycle hub bearings for optimal performance. 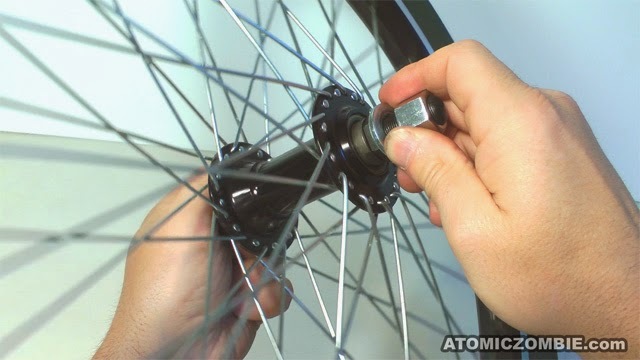 Here, I will be using a 20 inch BMX from wheel with a 14mm axle, but this tutorial can be applied to any front or rear bicycle wheel that uses the very common cone and cup style bearings. The term cone and cup refers to a type of bicycle hub that has a set of ball bearings sandwiched between a cup that is built into the hub shell and a cone shaped nut that is threaded onto the axle. Basically, the cone and cup are the bearing races that the balls ride on. With the exception of some seriously beefy mountain bike hubs that include large diameter hollow axles, most bicycles will have a cone and cup style bearing system. It is easy to identify this type of hub by looking for a locking nut sitting on top of another nut that has only two flat sections as shown in this photo. The nut with the flat sides is the cone nut, and it reaches below the sealing cap you can see and into the hub to connect with the ball bearings. To disassemble a cone and cup wheel, you only need two wrenches, but one of them is a special kind of wrench specifically designed to remove bicycle cone nuts. This wrench is of course called, a cone wrench! 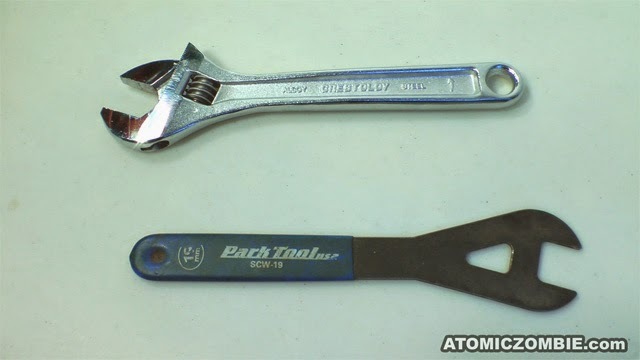 As you can see in this photo comparing the cone wrench along with a crescent wrench, from the top, it looks similar to a box wrench. The crescent wrench will be used on the locking nut, and the cone wrench will be used to grip the flat sections of the cone nut it was designed to fit. There are several sized of bicycle cone nuts, and for the wheel I am working with, I needed a 19mm cone wrench. The term "cone and cup" refers to a type of bicycle hub that has a set of ball bearings sandwiched between a cup that is built into the hub shell and a cone shaped nut that is threaded onto the axle. Basically, the cone and cup are the bearing races that the balls ride on. 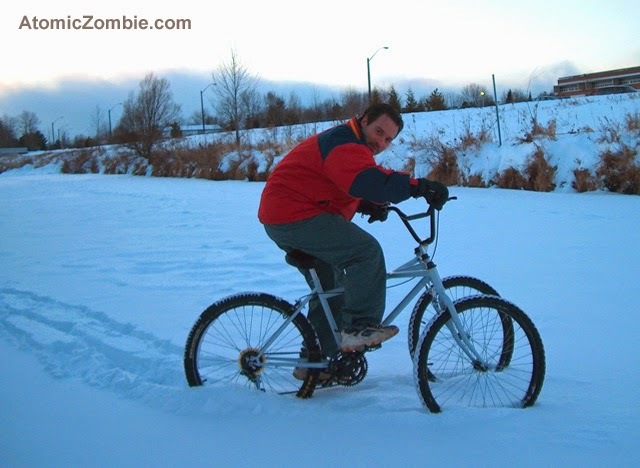 With the exception of some seriously beefy mountain bike hubs that include large diameter hollow axles, most bicycles will have a cone and cup style bearing system. It is easy to identify this type of hub by looking for a locking nut sitting on top of another nut that has only two flat sections as shown in this photo. The nut with the flat sides is the cone nut, and it reaches below the sealing cap you can see and into the hub to connect with the ball bearings. To disassemble a cone and cup wheel, you only need two wrenches, but one of them is a special kind of wrench specifically designed to remove bicycle cone nuts. This wrench is, of course, called, a cone wrench! As you can see in this photo comparing the cone wrench along with a crescent wrench, from the top, it looks similar to a box wrench. The crescent wrench will be used on the locking nut, and the cone wrench will be used to grip the flat sections of the cone nut it was designed to fit. There are several sized of bicycle cone nuts, and for the wheel I am working with, I needed a 19mm cone wrench. 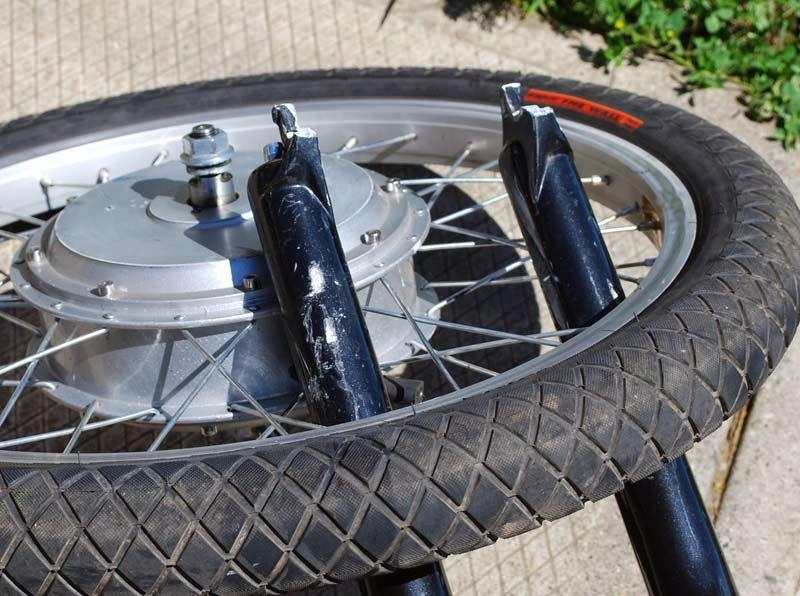 Wheel dropouts broke off of an electric hub motor, causing a dramatic crash. "Perhaps this one was only partly Murphy's Law fault, leaving the other half of the blame to the crazy dude that didn't listen to reason. 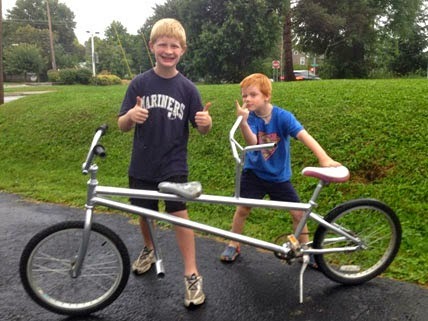 When I was building the E-Style Electric BMX, I originally put on a pair of front suspension forks from a mountain bike. Now, this might not seem like a bad idea, but if you know a little about electric front hub motors, then you probably know that this is a recipe for a face plant. Here is the problem in brief. Front suspension forks have aluminum dropouts. 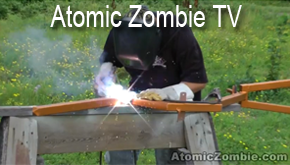 Aluminum is an evil unpredictable metal. Front hub motors introduce heavy torque to the axle. The axle is connected to the dropouts. Eventually, the aluminum dropouts rip away from the fork tubes and you get a very rude and swift introduction to the pavement. Sadly, I knew this ahead of time. I never intended to release the plan with these forks, but didn't actually think that such a well-made set of forks would be an issue, so I threw them on for some test riding one weekend. My hub motor was only rated at 500 watts, but I did modify the controller and bump up the voltage from 36 volts to 48 volts, boosting the top speed from about 25 Mph to 40 Mph or better! There I was smoking down a street in my neighborhood and I took a sharp turn into the parking lot of the coffee shop I like to visit, trying to look cool as I carved into the lot running under silent electric power. Actually, I did look cool until the exact instant that the front wheel went in a different direction than the rest of the bike!" From this...to this. 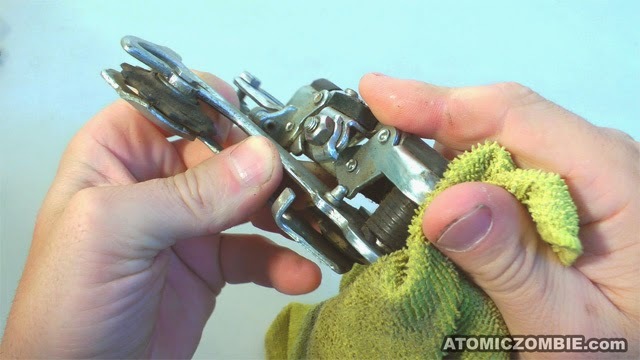 AtomicZombie shows you how to restore a typical derailleur. A new tutorial for all of you bike hackers who recycle and reuse parts for your projects. This 10-part article includes step-by-step instructions, 53 high resolution photos and 13 High Definition (HD) videos to show you how to take apart and recondition a grungy derailleur using basic tools and methods. The tutorial also explains the difference between "hanger" and "frame mounted" derailleurs. 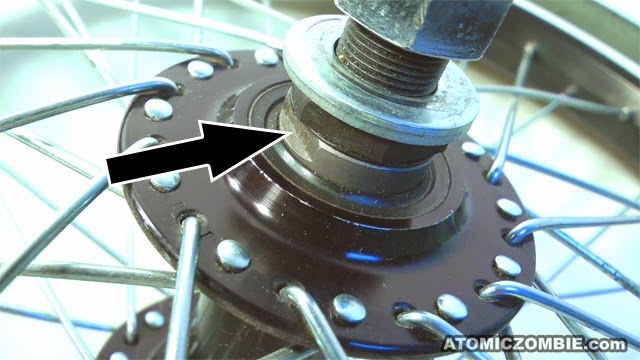 "The tension spring shown here, is wrapped around the main bolt, and it is responsible for the pulling back action that picks up the slack in the return chain. This will be one of the dirtiest parts of the derailleur, so give it a good wipe down with the degreasing agent and a rag. " 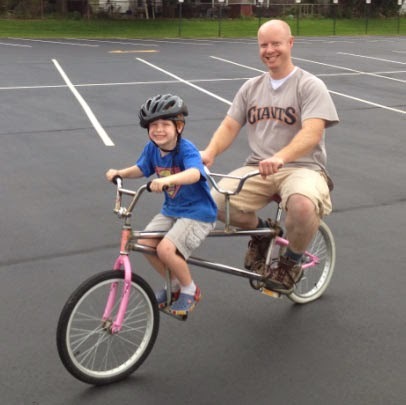 Rex and his family built their own tandem bike. It's been a while since my last bike build. In the meantime, I've built a baseball pitching machine and a squat rack for lifting weights. 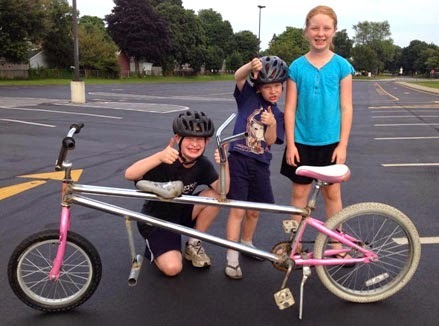 Now that my kids are all skilled riders, I decided one Saturday morning that it was time to build a unique bike with them. Since the kids have outgrown their bikes, the boys have taken an interest in taking them apart, so we ended up with some donor parts. 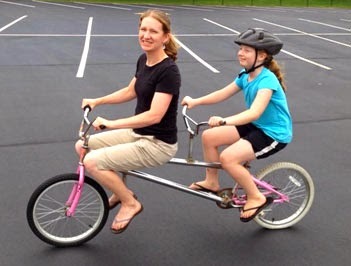 We decided on a tandem. The long tubes are from some parallel bars that were destined for the dumpster at the prosthetics and orthotics clinic where I work. So, we chopped away and made a small tandem in one day. The kids took a few minutes getting used to the feel of steering with a long wheelbase. We took it to the school parking lot, and it wasn't long before they were riding around the school and around the block. They had such a blast riding that I had to cut them off at two hours! My wife and I took the liberty of riding it as well. The kids love it and can't wait until the next project. Many thanks to Rex and his family for submitting this article and pictures. 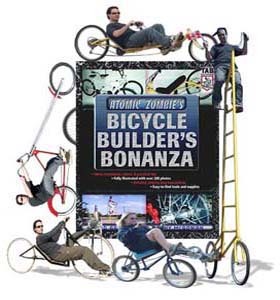 Rex has been a member of the AtomicZombie family since we launched our first bike building forum, roughly 10 years ago.